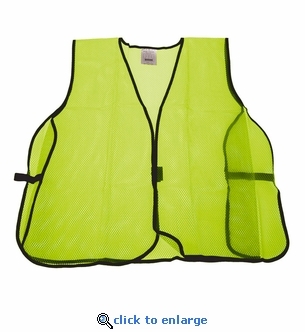 This neon lime green safety vest, features a one size fits all design with reinforced bound edges and front hook and loop closure. This safety vest makes a great addition to any emergency preparedness kit for work or in your vehicle for roadside emergencies or repairs. When it comes to safety, visibility never goes out of style.